Health care reform – 2 years later; has it met its goals? 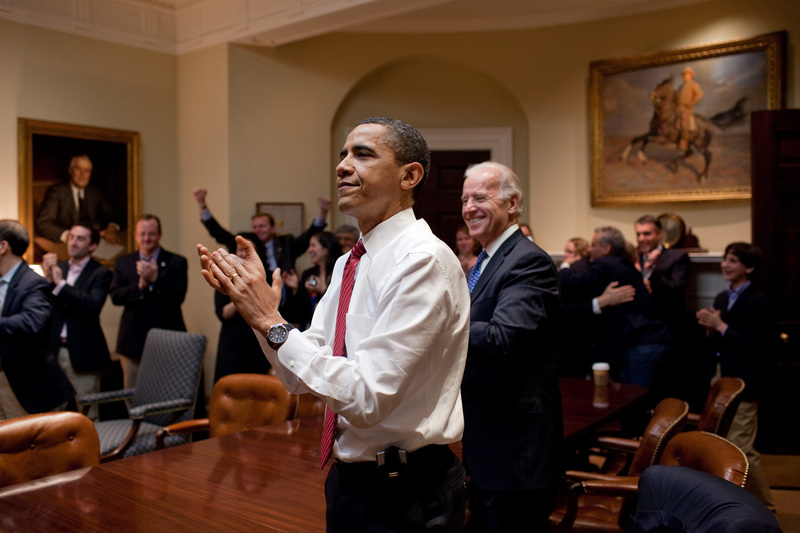 Today, March 23, 2012, is the two year anniversary of the Affordable Care Act. What an exciting moment in the history of our country. Look at the reaction moment photo. Obama’s face captures it all, with others cheering in the background. It looks like Teddy Roosevelt’s horse is also excited. Today the NPR health blog posted a great article about where we are in the implementation of the Affordable Care Act. Has it met it’s goals? The article simply summarizes in table format each of the provisions of the Affordable Care Act, the 2010 cost and impact, what has been done, and whether or not it is “on track”. The table really impressed me as an excellent, well-referenced resource that I wanted to refer our readers to. It divides the provisions into expanding coverage, senior benefits, and consumer protections. Below are some highlights. An estimated 54 million people received at least one free preventive health benefit in 2011 (goal was 41 million). 48,879 people covered through 2011; Cost: $618 million through 2011 (goal was 200,000-400,000 covered). Prescription drug benefit included 3.8 million beneficiaries who saved $2.3 billion in 2011. Old people should love Obama. Insurers can no longer impose lifetime limits. By Doctor LauraClubFancy, your health care correspondent. I am both impressed and distressed.